Eat at the same time every day! People who don’t sleep well have a body clock that’s out of sync. But when your food intake is on a set schedule, it helps set your body clock. Your body and brain will know when to anticipate sleep each night and automatically start relaxing. As a bonus: Sleeping better will reduce your risk of Alzheimer’s. According to the American Medical Association, people who get a solid 8 to 9 hours of sleep a night have less of the plaque buildup in the brain that’s linked to Alzheimer’s. 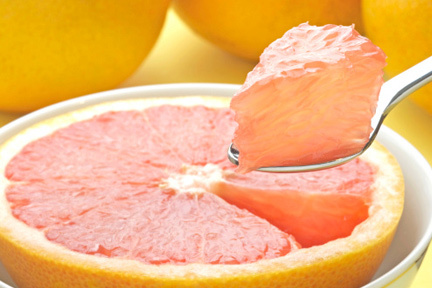 Grapefruit: The antioxidants in grapefruit, the ones that make it bitter, may help treat diabetes! They break down the fatty acids in your liver the same way diabetes drugs do. Cranberries: They have antimicrobial properties – which means they protect you from infections. They also reduce the risk of plaque buildup in the arteries – and help prevent the growth of some cancer cells. Finally, have more garlic. It lowers blood pressure and prevents certain cancers. It also lowers bad cholesterol – reducing your risk of heart disease. This little fruit can help to whiten your teeth. 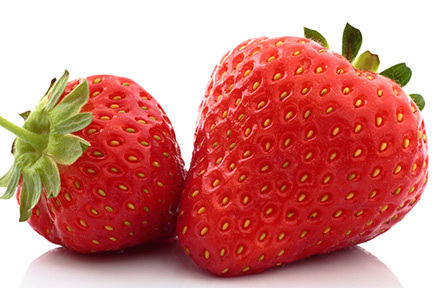 Who needs a teeth-whitening kit when we have strawberries? The salicylic acid in strawberries lifts surface stains from tooth enamel, while their vitamin C whitens teeth by removing plaque.